Angle of attack is the angle between the wing chord line and the relative airflow. It is the angle at which the oncoming air meets the wing. 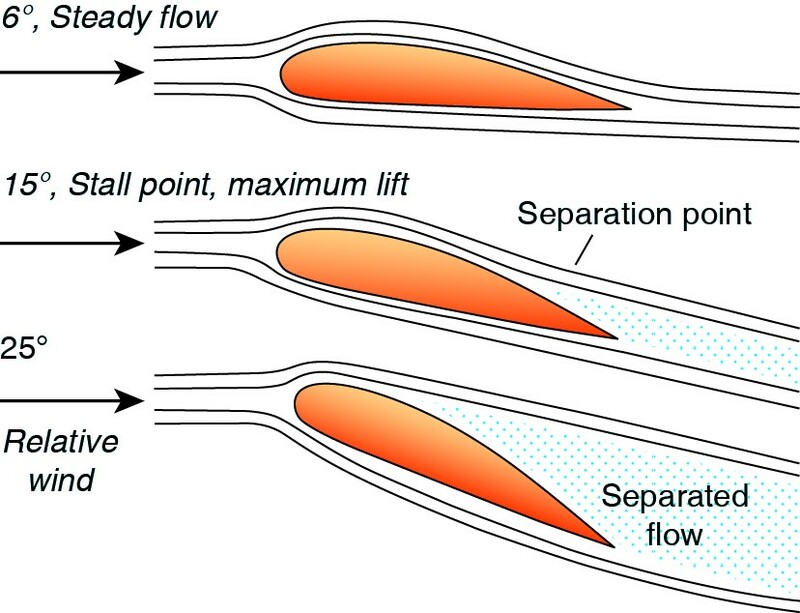 The amount of lift generated by the wings gets increased with the increase in angle of attack. However, there is a limitation to the lift produced in relation to angle of attack. Once the wing reaches its critical angle of attack, it dramatically drops the lift generated by the wings. This is due to the formation of turbulent swirls that destroy the ability of the wing to generate lift. Due to the sudden loss of lift beyond the critical angle of attack, the aircraft stalls.